Oh my goodness! We have arrived!! 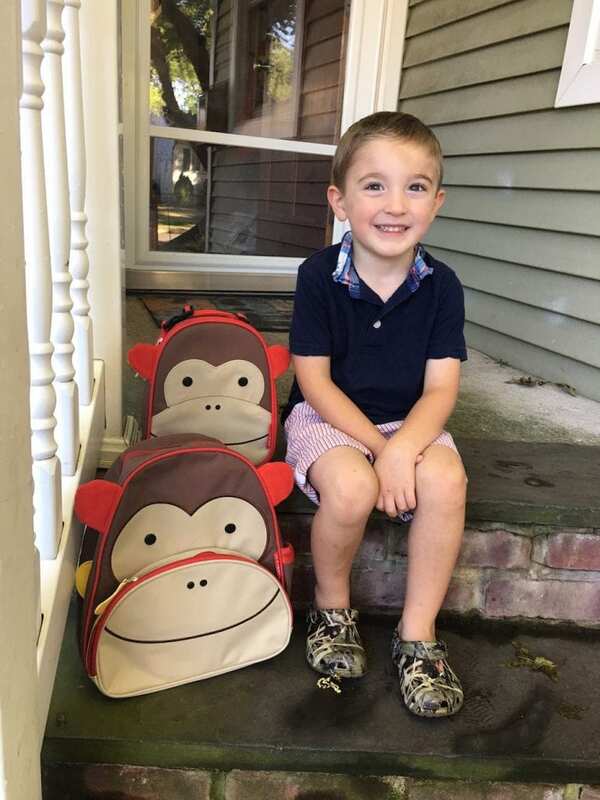 Caleb officially started nursery school and everyone in the family is just thrilled… especially him. There’s nothing like sitting in a room filled with your friends for a few hours a day. 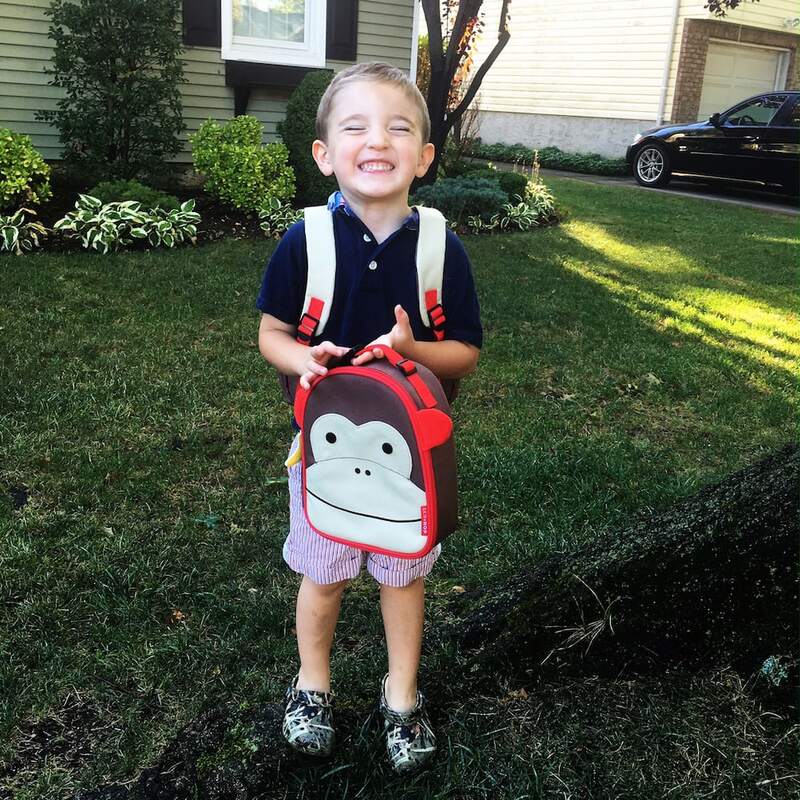 Every year, we get Caleb some cute accessories to make him feel like a big boy, just like his brother Liam. We let him pick out everything online and we don’t step in. Whatever he says – goes. 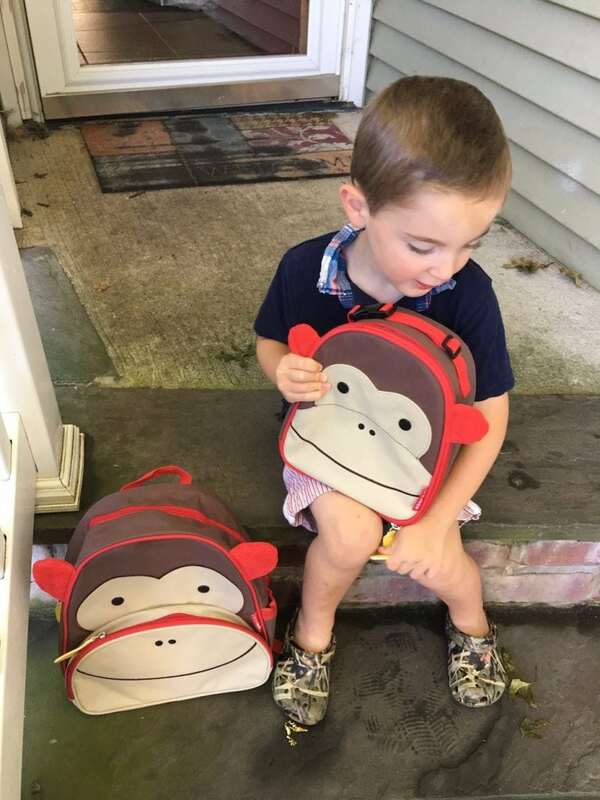 Skip Hop is our go-to destination for matching lunch boxes and school bags ESPECIALLY because they have such a wide-array of animal-themed products and the quality is THERE. These items last – even though nursery and pre-k students are using them. Moms, you know exactly what I am talking about. My boy throws these things around like they are hot potatoes… but they always look great. Last year, Caleb had bumble bees and this year… he chose monkies! Super cute. 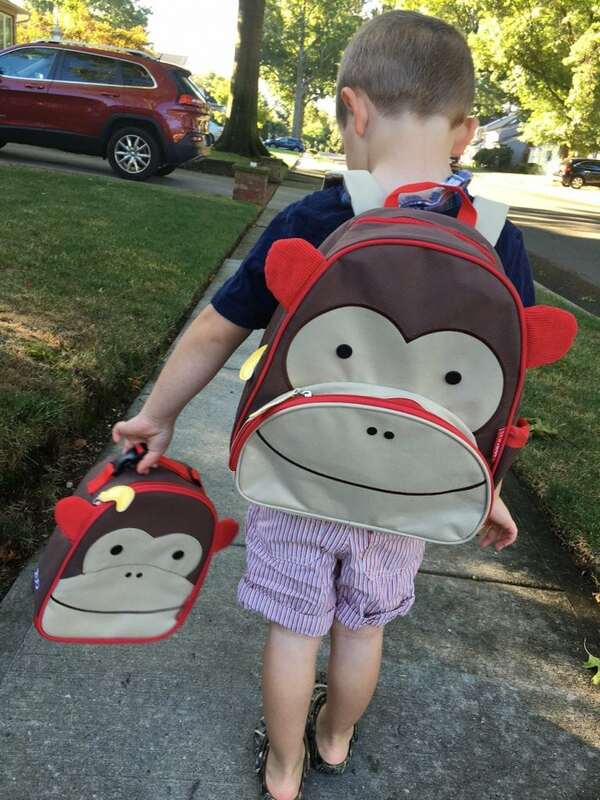 From the brand: Whimsical details and durable materials make this the animal backpack the perfect pack for on-the-go! 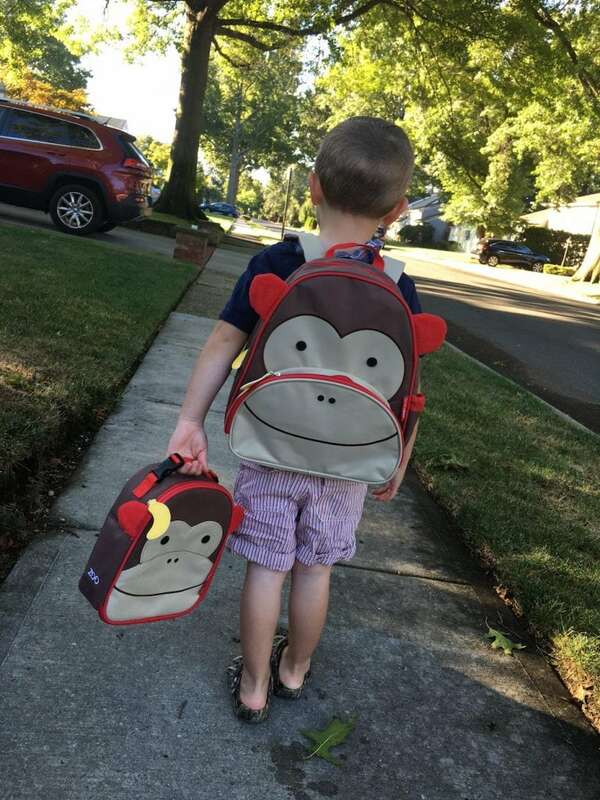 Easily holds all the supplies your toddler might need for a busy day of “work” and play at preschool, and the mesh side pocket adjusts to fit a juice box, sippy cup or water. Take a look at some of the animals that your child can choose this year. From sharks to cows to adorable little zebras – the choice is yours! Click here to check out the entire Skip Hop line.